"Many years ago I lost over half my head of hair. My shower drain was clogged with an alarming amount of fallen hair and my brush looked like a little matted wig. I was panicked to put it mildly. I took it upon myself to find the answers. I refused to go the toxic chemical “cure” route. What makes this book unique is that I lived through the nightmares of hair loss, thin and unhealthy, damaged hair myself. I came through it shining, having gained the knowledge, experience and results I’m now passing on to you. I wish I would have had this book when I so desperately needed it. …then this is such a book. A great deal of this information is new. The discoveries are a result of personal, sometimes very challenging experiences of one woman’s journey to beauty and health. This hard-won knowledge provides the answers on how to stop hair loss, grow your hair back, have gorgeous locks and bring out your own radiance, naturally. It also incorporates successful key lifestyle elements for overall optimum health and happiness." The best detox foot pads on the market! You don't have to be sick to use the detox foot pads. I don't have any illnesses or chronic disease (except stress! and I wish it were easy to de-stress your life!) and I still get tons of goo out on my foot patches from the nights I do wear them. My toes, of course, are always the worst. I have never been able to get the foot pads clean from that area... but every other area of my body has been fully detoxed and now I just do a maintenance. When I don't wear the foot pads for 6 months at a time (yes, there have been times when I maybe only have worn them once or twice in 6 months!) it takes a few weeks for me to get back to the "clean" pads on my arches, heels and ball of my foot. But for my toe area, I have never come "clean" in the morning. I know I should wear them every day until they are clean... as I do have a benign tumor in my head, and have to get an MRI every few years to make sure it isn't growing. Even though the doctors say that it isn't malignant, if it grows it could press on certain areas of my brain and cause motor difficulties, so I need to watch out. used foot pad from the toe area -- so gooey! 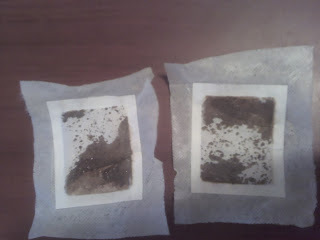 "I love the Purify Your Body foot patches. I always feel better the day after using them and I was amazed after the first week of using them. I never realized how much gunk was in my body. Thanks for a Great Product!!!" Here is a lovely email that I got from a customer last night. The detox foot pads are good for so many things so I encourage you to try them, even if it is just requesting a free sample and trying that sample. I just placed my second order of foot pads and wanted to send you a testimonial. I ordered my first pack, a smaller quantity, to see if I noticed any changes and I did - from the very first night I used them! For a little over 6 years now I have had the feeling of a lump in the back of my throat. I have been to 3 different doctors, all of them telling me it's in my head, they can't see anything. So I surrendered myself to the idea that this was something I was going to live with the rest of my life. -- Until I tried your detox foot pads!! The first night I put them on, not knowing what to expect the next morning. I woke up and through the day my throat felt "weird" but I didn't think anything of it. The second night, I put them on again and when I woke up the next day my throat felt even more "weird". As the day went on I realized the lump feeling was going away!! After the third night of using the pads I woke up that third morning and the lump was completely gone!! I have no sinus drainage issues and no lump in my throat. I also suffer from really bad migraines and regular headaches but I haven't even had the slightest twinge of an ache in my head since using the pads. Those two benefits alone are worth more than I can say but I also notice I have more energy, I sleep better at night and I can think more clearly. I don't need coffee - in fact, I haven't even had a single cup since using the foot pads - to fool my body into waking up. I feel like a whole new person! The pads have started to come off a little cleaner. I'm really excited for the day that I move to the next part of my foot! If the toe area has done these wonderful things I can't wait to see what the arch and heel will do. I am excited that I FINALLY got my shipment in this week, after it was being held for a month in customs. No more worrying about having enough detox foot pads in stock to fill all my orders. So, I used my foot pads again, after about a month of not wearing them to save inventory for actual paying customers, lol! You can see how gooey they are even after not wearing them for a month. The picture below is what my foot pads looked like after wearing them for a couple weeks. I hadn't worn them for MONTHS and then wore them for about two weeks straight... they went from dark brown to 50% clean (like below) but then I stopped when my inventory got low. I wonder how long it will take to get them clean again. This is an easy recipe for homemade dish soap; it cleans your dishes and smells great. It also cuts grease and kills germs! To make soap flakes, grate a bar of unscented natural soap using the coarse side of your cheese grater. You can use Ivory or Fels Naptha or another of your choice. Put the soap flakes in a large glass pitcher or bowl and add the boiling water. Stir until the soap is dissolved. Stir in the glycerin, and then add the essential oils, stirring the mix. A loose gel will form as the mixture cools. Use your hands to break up any lumps. Pour into a squirt bottle and use the homemade dishwashing soap as you normally would. Here are some scent variations you can try, depending on what you have on hand and what your preferences are. All these blends are disinfectant, immune boosting and smell great! 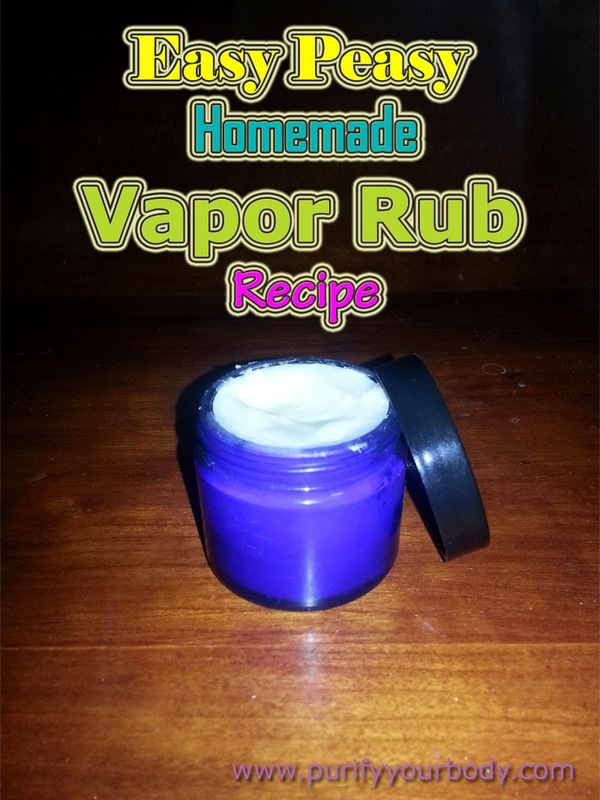 This recipe is not to be used on children under 2 years of age, as some of the essential oils are pretty strong. You can use this on your nose/cheekbones/temples or you can use this on your feet/chest to provide strong relief of colds and congestion. Apply as often as needed. Melt beeswax/tallow and shea/mango/cocoa butter in a double boiler. Once melted, turn off the heat and add coconut oil and essential oils. Pour in a clean glass jar with a tight fitting lid. Makes about ¾ cup. Can be stored at room temperature for up to a year. Eucalyptus – Potent antiseptic, anti-viral and decongestant. Basil – Helps open nasal passages. Antiseptic. Rosemary – Antiseptic, helps open nasal passages. Marjoram – Antimicrobial. Helps with breathing. Chamomile – Relieves congestion and helps calm cranky patients. I haven't posted any blogs in a little bit. Yesterday I was able to give my dad some much needed respite from taking care of my mom (with dementia). I drove her down to SLC after running some errands, and we went to visit 3 of my siblings down there. We took her to lunch, and also to dinner. I am grateful for my siblings for helping me keep her entertained. We dropped my husband off at the airport down there as well. He flew back to Minneapolis to take care of some business. So I thought the weekend would be sort of relaxing for me, not having to share a bed with anyone except my furry pets, until I was awaken around 1:30am with my older dog convulsing. I had never experienced someone having a seizure before, and I was so scared. He became incontinent and was foaming at the mouth. His breathing was very shallow and extremely raspy. After his second seizure about 20 minutes later, my brother came over to help me carry my 95-lb dog to my truck so we could get him to the vet. What a wonderful family I have, that I can wake up at 2am and have them come to my rescue when my husband is out of town. Anyway, when I pulled into the vet's parking lot, he started to seize again, and flopped off the seat in my truck onto the floor and was banging his head against the dashboard. Very scary for me, the vet was able to actually see him seizing up. She got him hooked up with an IV and got blood work started, gave him some diazepam, (valium), and gave him fluids while waiting for the blood test results. Thankfully his blood work looked good. He started calming down and was super doped up (20mg of valium? YES, I do believe he was loopy). We got him home around 4:30am and my brother helped me get him onto a doggy bed, and helped me take care of the mess on my own bed. Thankfully our mattress pad and memory foam topper stopped everything from getting through to our mattress. And I barely got any sleep. Hence, no normal blog post today, but just writing out about my experience has a healing effect. We have to figure out what caused his seizures, and address those issues. I do treat my dogs as naturally as possible, but I fully respect what vets can do for trauma care. Here is my Max, getting an IV last night at the vet. (err, this morning). He was so loopy... and barely fit on the cart. I am excited that I just got my Far Infrared Sauna hooked up. It took me 7 months of living here before it is now working. But honestly, in the heat of the summer the last thing I want to do is sit in a hot sauna. Now that Autumn is here, I am roaring to go! My Far Infrared Sauna only gets up to 130 degrees, so it isn't that hot, like the 180-200 degrees that the other regular saunas get to. It also heats from the inside, (radiant heat) so you get more health benefits. I don't understand all of these scientific studies, and am getting the information below from Evolution Health, where I purchased my sauna. I do have to say my main reasons for using it are its benefits on my joints, (decrease pain and inflammation), beautifying of my skin, and weight loss. I just sit in and read a book for about 45 minutes. Very relaxing and very easy to do. Sometimes I will use my detox foot pads in the sauna, to do a quick detox. Infrared Sauna Therapy makes it possible for people in wheelchairs, or those who have a disability that affect their ability to exercise to achieve a cardiovascular training effect. Regular use of a sauna may impact a similar stress on the cardiovascular system, and its regular use may be as effective, as a means of cardiovascular conditioning and burning of calories, as regular exercise." - Journal of the American Medical Association 8/7/81. Due to the deep penetration of the infrared rays generated by the Far Infrared Sauna, there is a heating effect deep in the muscular tissues and the internal organs. The body responds to this deep-heating effect via an hypothalamic-induced increase in both heart volume and rate. This beneficial heart stress leads to a sought-after cardiovascular training and conditioning effect. Medical researches confirm the use of a sauna provides cardiovascular conditioning as the body works to cool itself and involves substantial increases in heart rate, cardiac output and metabolic rate. Fat becomes water-soluble at a temperature of 100 F° before it begins to dissolve and enter the bloodstream to be removed from the body. In a FIR Sauna fat is also removed through sweat and cellulite. Weight loss is one of the benefits of using a FIR sauna each day for only 20-40 minutes. A single sauna session will burn 200-500 calories, as many as rowing a boat for 30 minutes or running several miles. Many people who have attempted weight loss through dieting and have not been successful will be pleased with their results from using a FIR sauna. Often the inability to lose weight is associated with chemical toxicity. As these toxins are removed from the body while using the FIR sauna, weight loss naturally follows. FIR saunas are the ONLY natural, healthy way to burn calories without exercising. Use of a FIR sauna has a cumulative effect on the body, meaning that using it daily magnifies its benefits. The first time you use the FIR sauna will be a pleasant experience. However, after several days and then weeks, detoxification, weight loss, immune building and other benefits will increase dramatically. 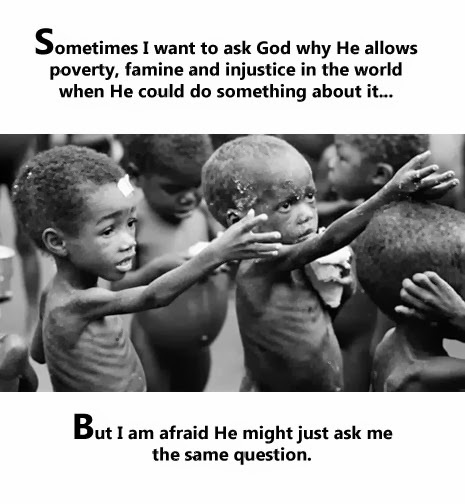 One must experience this cumulative effect to understand it completely. Musculoskeletal Cases - success reported with infrared treatments include TMJ, arthritis, back pain, tight muscles, shoulder tension, gout, rheumatoid arthritis, compression fracture. Infrared Sauna Therapy increases blood flow. Clogged pores are unplugged of cosmetics creating a skin texture and tone of unexcelled quality. Mikkel Aaland's book Sweat (Capra Press, 1978) quotes a Finnish doctor to the effect that: "The best dressed foreigner can come into a doctor's office, and when his skin is examined, it is found to be rough as bark. On the other hand, as a result of the sauna, the skin of any Finnish worker is supple and healthy"
Sunburn: according to the 9th edition of Clayton's Electrotherapy, "infrared is the only antidote to excessive ultraviolet radiation." A Far-Infrared Sauna is perfect as a "heat therapy room" for athletes looking for a pre-workout warm-up to warm up muscles and increase flexibility, helping to prevent injury. It's also ideal for pre-warm-up for physical therapy and massage therapy, or for a relaxing, wind-down at the end of a stress-filled day. The deep heat of the far infrared sauna helps peripheral blood vessels dilate, bringing relief and healing to muscle and soft tissue injuries. Increased blood circulation carries off metabolic waste products and delivers oxygen-rich blood to oxygen-depleted muscle, so they recover faster. Muscles relax most readily when tissues are warm, for greater flexibility and range of motion. Sauna's deep heat raises your body temperature, inducing an artificial fever. As it works to combat the "fever," the body's immune system is strengthened. Combined with the elimination of toxins and wastes produced by the intense sweating, the overall health and resistance to disease is increased. As the body increases sweat production to cool itself, the heart works harder pumping blood at a greater rate to boost circulation, supplying the conditioning benefits of continuous exercise. Heart rate, cardiac output and metabolic rate increase, while diastolic blood pressure drops, for improved overall cardiovascular fitness. Perhaps the most immediate relief this far infrared sauna offers is simple relaxation, as it melts away the stresses and tensions of urban life. infrared sauna gives an overall massaging effect, soothing jangled nerves and knotted muscles. The profuse sweating achieved after just a few minutes in far infrared sauna carries off deeply imbedded impurities and dead skin cells, leaving the skin glowing and immaculately clean, Increased circulation draws the skin's own natural nutrients to the surface. It improves tone, elasticity, texture and fresh color of the skin. Increased blood circulation has also been shown to relieve acne, eczema, psoriasis, burns, lesions and cuts. In addition, open wounds may heal more quickly, reducing scarring. Today I had made an appointment with a lady who does gua sha in Logan, UT. I used to get it done a lot when I lived in Minneapolis, at Winer Acupuncture. But now that I live in Utah it was hard to find someone. Thankfully, I did find someone and saw her today. When you look at the picture below, please note that THIS DID NOT HURT AT ALL, and it brought me immense pain relief. I suffer from back issues due to car accidents when I was younger. And while I take care of my body, I really can't do anything to make my back stop hurting. I rarely take pain killers, because of all the long term ramifications and side effects. So mostly I live with pain. I get chiropractic treatment and also I have done acupuncture, rolfing, and gua sha. The more redness that appears, it is safe to say, the more pain that the person is in. All of the practitioners who have done gua sha on me have told me how dark and red I end up being. I can't guarantee that I am in more "pain" than another, but I constantly am in pain and really enjoy the feeling of relief that this brings me. "Gua sha therapy (Scraping therapy) is an ancient Chinese traditional natural therapy and is based on the theory of Traditional Chinese medicine (TCM), By scraping the skin of the relevant parts of the human body with the tools of horns , jade or other material, We can get the purpose of promoting blood circulation and dredging meridians. With the skin being scraped by a gua sha tool, The skin will be raised small red petechiae which called 'sha' in chinese ,and the "sha"will fade within 2 or 3 days. By Raising sha, the capillaries will be highly dilated and it will enhance the sweat secretion and circulation of the body blood.It will helps to remove blood stagnation which considered pathogenic and promote body metabolic processes. Heavy metals in our body from regular food we eat! Just this morning I woke up to two articles about food we eat and heavy metals in those foods. The first one talked about tuna and mercury. We are all aware of commercial tuna having tons of mercury in it, so reduce the amount we eat (I eat a tuna salad sandwich maybe once every month or two). And in this article it cites a study that says tuna harms brain development in children. So, let's stop eating tuna so often, and not give it to our children, especially when they are young and their brains are still developing. So, let's get this straight. Oatmeal has arsenic in it. Tap water has arsenic in it. But the EPA says that the amount allowed in tap water is safe... however, if you drink tap water, eat your oatmeal for breakfast, and then have stir fry with some rice for lunch, (oh, and tuna for dinner, ha!) you are getting a toxic dose of heavy metals, and here you are, thinking you are eating a completely healthy, balanced diet! All of these doses of arsenic compound inside your body to expose you to unsafe levels. Which is why it is SO important to detox your body. I know that is a refrain that I say over and over, like a mantra, but it is the truth. Heavy metal poisoning is not fun. It can kill you in a long, devastating and painful way. My detox foot pads have been proven to pull out these horrible heavy metals. So I recommend you try them out on your kids and yourself. Be proactive with your health, not reactive. And as always, I offer FREE priority mail shipping to the U.S. and military bases throughout the world. I am a one-person shop, I blog, tweet, post on my Facebook Page, even have a Pinterest page that I created to organize healthy living advice on. I ship out all my orders personally, and communicate with my customers personally as well. My product DOES work, and I offer a money back guarantee as well. Personal service like this is hard to come by these days. I also am truly grateful for all my customers who give me a chance. May you be blessed with great health! Detox foot pads are for healthy people, too! Like me, others use Purify Your Body detox foot pads to maintain good health. Why wait until you are sick to detox your body! Here is a testimonial from one of my long term customers who really feels the difference in his life! "I am generally in good health: I'm physically fit, maintain a healthy weight, eat well, and exercise. I probably don't get enough sleep (and drink too much coffee), but overall I'm pretty healthy. Several months ago I was having some skin issues and had not been feeling quite myself. I also was noticing some soreness on the bottom of my feet. 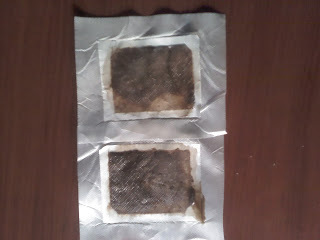 With some skepticism, I decided to try the detox foot pads. I started with three pads on each foot, and then switched to one pad per foot. Within just a few days I started noticing improvements with my skin, my overall energy level, and the soreness in my feet improved. After about a week, my skin cleared up and my feet felt normal again! I still use the detox foot pads three to five nights a week as maintenance, and I feel great! This detox system really works for me!" BB - Kansas On another note, I just created a Pinterest account for Purify Your Body, a place to pin some good health articles and tips, and a place for me to establish an array of alternative medicine resources. Feel free to follow my pins! I am a bit new to this so there will be a learning curve for me! I recall conversations I have had with multiple people asking me how they can feel better. I am not a trained naturopathic doctor, nor do I have any sort of credentials in nutrition, homeopathy, etc. I do have my MBA in business only, but have studied about alternative medicine since I was in my teens, so that would be at least 20 years ago when I started reading and studying about how to make a body healthy. But nonetheless, when people know I am into health and natural remedies, they ask me for advice on certain things. And I give them advice. Most don't listen -- lifestyles are so hard to change -- but some are willing and want to change their life to feel better. One thing that is important to do when you are getting your health back in order is to "mega-dose" on some vitamins. If you have adrenal fatigue you need to supplement with Vitamin C and B vitamins, along with other things. There is no way when you are at that point, you will be able to get what you need from the food you eat. Mega-dosing, in lay-men's terms, is basically taking 10x the "RDA" for that particular nutrient. I actually don't take any stock in what the RDA is, since that is the recommended daily amount for you to take to not be deficient in that particular vitamin or nutrient. Is being on the verge of "deficiency" where you want to be? Nah, I don't think so. I eat a lot of foods that provide nutrition, but I also supplement with a greens superfood supplement, and I take an additional vitamin D3 (5,000 IUs). I also supplement with a B-complex, and take a K2 vitamin, and last of all, I take Protandim. Oh, I also take a fish oil supplement a few times a week. That sounds like a lot, but I don't think so. I live in an area where we have harsh winters, so I need my D3. I have O negative blood type and need my K2. My dear friend gave me protandim to try, and so I tried it and like it. I have continued taking it because I think it just gives me that extra little boost that I need. But, if you are sick, or deficient in something, megadosing for up to a month is totally fine and a good way to get your nutrient levels back to where they want to be. Of course, I wouldn't take megadoses of Vitamin C on an empty stomach, or for that matter, I wouldn't take vitamins at all on an empty stomach. And, for the fat soluble vitamins, I would recommend taking them with a meal containing fat. That helps the absorption rate. How is this different than overdosing? Overdosing on a specific nutrient probably won't happen unless you consistently take that supplement at 25x or GREATER than the RDA, for weeks at a time. It is most worrisome if you take fat soluble vitamins, as your body stores the excess vs. water soluble vitamins that you just pee out the excess of. It is rare to overdose on any nutrient, it is much more common to be deficient. What do I recommend taking? I recommend an organic greens formula or whole food supplement. They usually are big green or brownish looking pills and you take more than one or two usually, in a dose. Many times they will have spirulina, chlorella, barley grass, kelp, and other "whole green foods" usually sourced from seas off of a northern Canadian coast or some other untouched place. The next thing that I do is take mineral supplements. I take clay (bentonite or french green clay) every day, and they are filled with tons of minerals. But I also take OxyEarth and OxyFlush on a nightly basis. And, when I make smoothies or drink V-8 juice, I put a capful of Clark's Minerals in it. This is something that doesn't happen more than once a week, as making smoothies is too time consuming for me (what a way to rationalize! hah!). Mineral deficiencies can cause so much disruption and illness in your body, moreso than vitamin deficiencies. And when we sweat, sit in a sauna, or use a foot bath, epsom salt bath, etc minerals along with toxins come out, so we have to make sure that if we are exercising a lot, or using a sauna or specific baths, that we replenish the depleted minerals. My best friend since childhood swung by my house this morning. She was borrowing my ozone generator (to ozonate water and olive oil). We got to talking about people we knew who were real sick. These people treated their bodies harshly -- the way they eat, the drugs they put into their body, etc. These friends of ours, we try to help them. We both had similar stories. You can lead a horse to water, but you can't make them drink. We give advice to people, tell them the easiest way to regain their health again. But they don't do it. They are so addicted to their junk food, their diet beverages, their cigarettes and drugs, along with all the other unhealthy habits they had. And, they wouldn't even admit that those are the things that got them sick in the first place. "I have had this lifestyle for so long now and only last year I started to feel sick, so there is no correlation". WRONG. People so often have this misconception, they don't think that their lifestyle, their eating habits, etc. have anything to do with how sick they are; because of the many years where they felt ok, and still had the same habits. I have a good analogy. Let's pretend that your body is a water barrel. You know those wooden barrels that range in height, you see them a lot at farm houses, or country homes. Well, let's pretend that the rain that is filling those barrels up are toxins. And when you look at those barrels, you can't see how much water is in them. Same with our bodies. As our bodies fill up with toxins, we don't know how filled it is, and only when it starts overflowing do we start to feel the symptoms of chronic illness. Everybody's "rain barrels" (their bodies) each have a different size and some can handle more toxins before becoming ill, others (like me) can't handle as much before I get sick. So our objectives would be to keep the level of our water in our rain barrels as low as possible. How do we do that? First, we stop putting toxins into our body, at least as much as we can. Second, we take the toxins out of our bodies. There are many ways to detox and my foot detox pads are only one way. There are liver flushes, supplements to take, saunas, clay baths, colon cleanses, master cleanses, even through diet. But it is crucial that it be done. I agree, it is hard to change your lifestyle. It may cost money, it may not taste good. It may take too much time. But you are worth it. Your health is worth it. Trust me. Start small, but do it. Even if you only change one thing a week, or one thing a month. DO IT. In memory of our heroes, the innocent and the WTC towers: 9/11 we will never forget. I was working at Sun Microsystems as a PR manager out in California during the 9/11 attacks. It was around 6:45am when I heard about what happened, and how we still had two planes "missing". Then the second plane hit. Speculation was going around, thinking the Sears tower in Chicago was the next target, and then the Pentagon was struck, and the plane in Pennsylvania was hijacked but those heroes on the plane took over and died as martyrs, saving even more innocent lives. My brother was supposedly on the plane flying out of Boston, but little did we know he flew back a day early. Since he is a night owl and not a morning person, he was unreachable until around noon that day, causing a LOT of fear and dread in our own family for a few hours. But that is nothing compared to what those who really did lose someone, felt. My company lost two of our executives on the planes, and we lost our offices in WTC 2, but no other casualties, everyone on the ground was able to get out safely. Then, all of America banded together. We became brothers and sisters, holding hands, crying, hugging strangers. We may have gotten a big sting, but that did not fell us. We were stronger than that. I loved the pride that was felt throughout the land. We weren't black, white, Asian, Hispanic, Christian, gay, straight, rich or poor. We were AMERICANS. Every one of us. And while it saddens me to think that a tragedy had to occur to have us become ONE, and even saddens me further that our sense of unity has dissolved since then, but I am glad we have it in us, deep inside, somewhere. Where did it go, though? Why does it end too soon, that feeling of pride, unity, loving strangers, and helping others? Now we are in a political upheaval, democrats are ratting on republicans, republicans are doing the same, and I see a huge chasm that is growing ever wider. Where is our American pride? Where is our Freedom as new laws are being put into place under the guise of "keeping us safe" but in reality they are stealing our freedom piece by piece? I think that is the true tragedy of the 9/11 attacks and the creation of the "Homeland Security Administration". No group should have that much power. The beauty of democracy is that the power is in the hands of the people, and we are losing that. We are reactive, not proactive. It is not safe anymore. And while we still mourn those who we have lost, and hold dear to our hearts the heroes that risked their lives to save others, we lost a bigger piece of our country that day as well. And many of us still live in fear, right here in the United States of America, where free men used to roam. 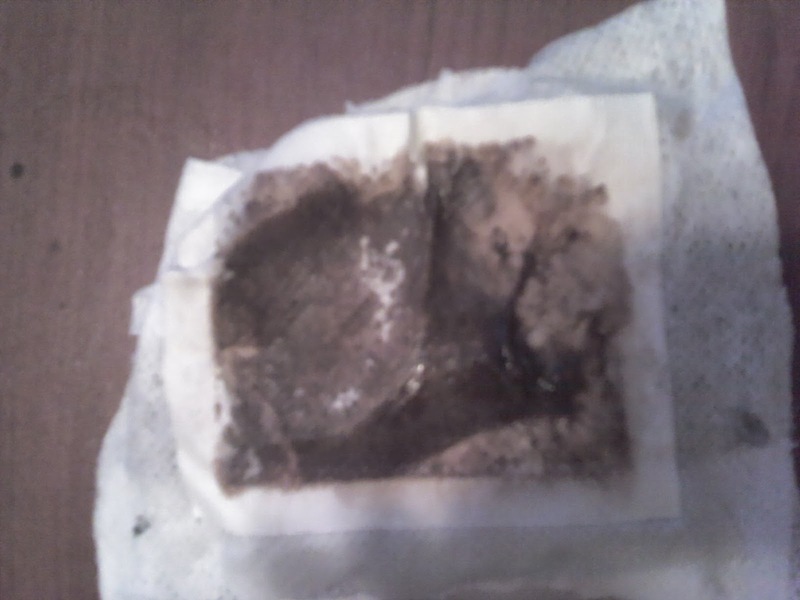 "I have been using Purify Your Body detox footpads since 2007. Originally, I tried them to see if they would help me sleep. What I found was that even on too few hours of sleep I felt more rested when using the pads. To this day, I feel mentally clearer when I wake up after using them. Another benefit that I attribute to the pads is clearer skin. I have suffered from adult acne since turning 30. However with continued use of the foot pads, I notice less breakouts- way less, and I'm grateful. " I eat dirt. And I enjoy it. And it tastes good! A lot of people whose blogs or articles I have read about the many beneficial properties of clays (dirt) start out that way: "I eat dirt". So I don't want to be different. All of them have such important things to say, and there are so many great reasons to eat this stuff! Besides, I am not much of a writer so I love copying other people's good ideas! The types of "dirt" that can always be found in my home include diatomaceous earth, bentonite clay and French green clay. A little background... I have been using diatomaceous earth for years now, mostly around my home and garden, and twice a year I feed it to my dogs and myself as a parasite cleanse. But I have only been using French Green Clay and Bentonite Clay externally, for maybe 7 years. I didn't start using it internally until recently. I prefer the taste of French Green Clay, personally. Bentonite clay can be sort of gel like, and textures really get to me. 1. French Green Clay has been shown to reduce radiation poisoning symptoms. It was used after the Chernobyl nuclear disaster, and again it is being used now by the Japanese with their current nuclear issues. (this should be taken internally with water). 3. Clay cleans out your whole digestive tract, adsorbing and neutralizing toxins, chemicals, and keeps you regular. 4. Clay can win the battle against bacteria, even drug resistant bacteria such as MRSA and staph. 5. Clay provides many nutrients and is loaded with minerals. Once your body gets these much needed minerals, you have so much energy and the fatigue of daily life is gone. 6. Clay's most common use here in the U.S. is for beauty products -- a clay mask (super easy to do at home, no need to go to a salon or spa), clay bath, or even a body wrap to smooth those cellulite pockets! It firms the skin, makes your face feel so smooth and wrinkle free. I use it on my face once a week. I would recommend no more than 2x per week. 7. Clay can be used to pull out toxins in your body, just soak your feet or your whole body in the bath with a half cup of clay, for an amazing detox. One lady would do a foot bath every day and she poured the water out into her plants, and it killed them because of the toxins that were in the water after use. Pouring regular clay water, un-used, on plants won't kill them at all, in fact it provides good nutrients for the plant. 8. Clay poultices can be made easily and used for wounds, burns and rashes, including psoriasis and eczema. (the links below will give you more information on how to do all these things). 9. Clay can be fed to your animals to keep them in tip top shape and good health. I have only fed my dogs diatomaceous earth but am thinking about putting clay in their water to see how they respond to it. 10. EXTREMELY good for the treatment of acid reflux. People say they get immediate results that last for more than 12 hours! How do you take it internally? First, take it on an empty stomach, and the first three days, take only 1/3 teaspoon, the second three days, 2/3 teaspoon, and then go up to 1 tsp a day. I think that should be all you need to stay in top health, unless you have a chronic illness you are trying to overcome, then you may want to take two doses a day. Read more information below in my resources links, to see all the health benefits you can get out of clay. And, it is SO cheap!! For under $10 you can have more than a 3-month supply! (depending on how you use it, if you just drink it every day and use it as a face mask once a week). It works very well with my detox foot pads, to complement the removal of toxins from your body. And I really swear by it, that along with my other natural beauty regiments, this French green clay is so amazing on your face. Don't bother with expensive face creams and masks and spa treatments. I think Mountain Rose Herbs (link below) sells a 1lb bag of it for only $8? That could last you well over a year if you use a mask twice a week. You can't even get something like that at the drug store that cheap, and that REALLY works. I am nearing 40 years old, and I honestly say that my skin looks like I am in my 20s. Now go out and eat DIRT! As harvest time is nearing an end, I am exhausted and somewhat thankful that it is almost done. And all I have is a large backyard garden and some fruit trees. This week we hope to finish picking the corn and green beans, and start eating the winter squash. I also need to pick some more tomatoes, as they are ripening more every day. I already picked a few bushels and made salsa. I also picked 50 lbs of tomatillos and made salsa verde last weekend. I made 15 loaves of zucchini bread, and shredded the rest of the zucchini and froze it in quart sized bags. There are a few more that will be ready to pick in the next few days. And it goes on and on. I didn't even mention my cucumbers or peppers, or swiss chard, or radishes. Or my cabbage, which will be done soon, as well! But one thing I will do differently next year in my garden is planting the corn and beans separate. This year I did the three sisters gardening, which is where you plant the corn, then the beans to grow up the corn, and then the squash is the "ground cover" in between the stalks. Well, it got a little out of hand, the beans and the squash both grew up my beautiful corn stalks, and bent them over, so it was all one tangled mess. Another thing I will do next year is to space things out more. I didn't realize my tomato bushes would get as tall as me, or that my squash will climb up anything that gets in their growing path. I didn't realize my onions would get so big, either! There is no room to really pick anything without squeezing in between bushes and plants and stepping on vines. One last thing I will do next year is to plan better in spacing the planting of the lettuces, carrots, radishes and cilantro out. I need to plant in stages, so that every two weeks I will plant new row, and that way I will have all those delicious veggies and herbs at all times during the summer. Did you have a garden this year? what are some tips you learned? Buy 60 detox foot pads, get 20 FREE! For September I am offering one of the most popular specials I have ever done in the past: Buy 60 foot pads and get 20 absolutely FREE! This quantity is the most popular out of all the quantities I sell, and with the 20 free, you will have enough to share with your family members so all will get a good detox. Buy as many 60-packs as you want, there is no limit, and you can get 20 free with each 60 pack you purchase. Stock up for the holidays as they make good stocking stuffers. Get ready for cold and flu season. And to extend last month's offer... with a twist... to get an ADDITIONAL FREE 10-pack of foot pads please include a testimonial (via this email) when you place your order. Tell me how much you love the foot pads and why you use them. No matter the quantity you order, I will ship out another pack to you. If you order 60 foot pads and also send me a testimonial, I will send you the 60 plus 30 FREE foot pads. I will use this testimonial on my Facebook page, blog and/or Twitter page. Please be sure to let me know how you want your name, city/state to be listed in the testimonial. (you can be anonymous with your city and state if you want, or just your initials, please state what you would like me to use). One of my favorite quotes... makes me sad but it spurs me to action! I just went to give blood today, and around me I am watching others give blood. Healthy, oxygenated blood is a bright red color, and unhealthy blood is a dark color, I don't know how to describe it, maybe dark reddish brown? I was very pleased that my blood was a bright red color today. Only one other person there had bright red blood. The rest of the people I noticed had dark blood. I also had an amazing hemoglobin count (14.9) and my blood pressure was 120/65. My blood used to be dark red when I donated. And I used to barely be able to have my hemoglobin high enough to even be able to donate. Sometimes my blood pressure was very low (80/60 was common for me!) I was turned away more than a couple times because my body just wasn't up to par. This was all before I started Purify Your Body and changed my lifestyle to accommodate good health. I am 37 years old, nearing middle age, and I can say healthwise I am in better shape than I can ever recall. Unfortunately I have back problems due to dumb accidents of my youth, and sometimes have problems sleeping through the night. But otherwise I feel great. I take the OxyLift supplement every day. I know I should take it 3x a day, but I normally take one large dose every day. I think that is one thing that has helped my blood be rich in oxygen. I also take OxyEarth and OxyFlush every evening before bed. Before you fill your body full of other supplements consider this ... The oxygen we breathe is chock-full of pollution accumulated over the last two hundred years. The food we eat comes from soils that have been zapped of much of their nutrients due to overuse and abuse. It's like this - bacteria, viruses, fungi and all sorts of nasty things that can cause your health to deteriorate can't survive in an oxygen rich environment! Energy = Oxygen. This isn't 'rocket science'. But you just can't take active oxygen and mineral supplement just once and expect it to perform miracles. This is a long-term fight. One thing that many people ask me is if the detox foot pads are ok to put on children. YES! They are! And for everyone who is interested, it is a good idea to have your children wear them. Even infants can. I don't want to go on about vaccinations and genetically modified foods, and how the incidents of children with ADHD, ADD, Autism spectrum disorder, and learning disabilities has skyrocketed recently, you already know about all of that. But why risk our children's health? So, feel free to use the detox foot pads on your children. You can put one along the length of their feet, and many young ones have such tiny feet a single foot pad can give them a whole body detox. If the foot pad is too big for their feet, have it wrap over their toes. A customer told me that she put them on her son's feet, and he was able to sleep through the night (sorry mom's with babies, this was on an 8 year old boy... I would be a millionaire if it helped newborns sleep through the night!) He went from being disruptive and not paying attention in class, to being attentive and polite. It was the lack of sleep that made a difference for her son, she told me. Such a great thing for her. I still recommend pregnant and breastfeeding women to ask their doctor before use. I am not a doctor nor can I dispense medical advice legally. There are many people out there that believe that detox foot pads are a scam. These people are even in the "natural health" community, and should be more open to alternative methods of getting healthy and staying healthy. But there have been reports on news channels that supposedly "prove" that the foot pads don't work. I did write a blog post about this topic a few months back, but I wanted to expand on one facet of it right now. One thing that many "unbelievers" say is that the foot pads react to the sweat coming from your feet during the night. I know that there are people out there that sweat profusely, but I am not one of them. I couldn't imagine sweating the amount of sweat that would be required to fill my detox foot pads with all the goo that they are filled with, come morning. My hubby's feet sweat, but even then they are just clammy, not dripping with sweat. Now, I haven't consistently worn my foot pads in YEARS. Back in 2003-2004 I was wearing them quite often. They started out dripping with goo but then gradually became lighter until I was detoxed. Then, I would only wear them a couple times a month, and sometimes even then I wouldn't wear them. So the toxins built back up over the years... (simple math, more input of toxins, less output.) Since I have been doing a big social media push (please visit my Facebook page and become a fan!) I decided I would commit to wearing them consistently until they become clean again... so that is what I am doing. I am almost 2 weeks into wearing them nightly, minus a couple nights that I forgot. The pads have gradually gotten lighter in just a mere two weeks. I also took pictures. Here is a picture of my first night. I have pictures of all of the days in between, as they gradually get less toxic each day. If the foot pads turned dark because of sweat, then why aren't they the same consistently? Why do they end up with no goo on them when I am all detoxed? 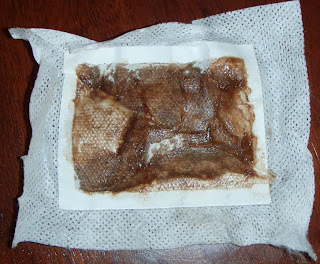 That argument to try to prove that the detox foot pads DON'T work just doesn't hold water. Yes, it is true that if you place the foot pads under water, they will turn dark. But the consistency is different than when you put them on your feet. 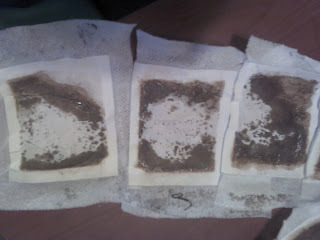 They are herbs, of course they are going to turn dark like a tea bag turns dark when you seep it in water. But the goo that ends up on them after wearing them is thicker. So hopefully when people wonder if detox foot pads are a scam, they can take some logic and put it into their decision making process. Purify Your Body's detox foot pads are the highest quality on the market, and they DO work. I offer a money back guarantee, and BELIEVE in them. They don't have any fillers like competitor's brands, and I don't rip you off. I provide a good quality product, no fillers, etc. I want to tout that my ingredients are all natural, and some are organic. But my competitors do that, as well... of course these ingredients are all natural. You wouldn't put synthetic herbs into a tea bag, would you? Nope. Tea is natural, too. The herbs in my foot pads are natural, as well. That is a given. So, try them out. Request a free sample from me. Like Purify Your Body on Facebook. Read the testimonials. I promise you they are not faked. They are real people with real experiences. I haev over 5,000 customers worldwide who love my foot pads. I have companies around the world re-selling my brand of foot pads. I have people using them for many different things. Some are really sick and they find relief with the foot pads. Others, like me, don't have any chronic illness but yet want the health benefit of keeping toxins out of my body. I sleep a LOT better when wearing foot pads. I feel better when I get more sleep. Many people report this same thing. And, a free sample isn't going to hurt you. So go to my website and go to the contact us page. Put in your mailing address so that I can mail you out a free sample. Try them. See what they do for you. And thank you for trying them. Here is a testimonial from one of my customers who is sick with Lyme disease. She is doing much better now. 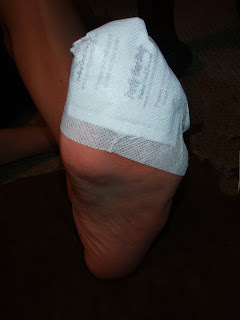 "I use the detox foot patches at night, sometimes just one on a foot area corresponding to the place that hurts, often an ache or pain in shoulder, knee, or wherever. In the morning I usually find that my discomfort is either gone or much lessened. Now I have a knee issue from Lyme disease and, once I found the correct placement for the pad (I had been putting it too close to the middle sole), my knee feels less tight today and walking stairs is easier than it was yesterday. It keeps getting better without medication when the doctor's said it wouldn't! I gave some pads to a friend staying with me who is being treated for cancer & she said her feet felt better than they had been feeling, and when she did a lot of walking in the days afterward. When I dumped the garbage her pads were very dark and toxic. My own have lightened with time/use unless some new health problem occurs; then they are temporarily darker for a short while while I detox again." About 7 years ago when Purify Your Body was not even a year old yet, I had one of those "kitchen accidents" which resulted in a very bad cut at the base of the middle finger on my right hand, and a badly sprained hand. After a visit to the hand surgeon to fix the soft tissue that allowed me to move my finger, it was starting to heal; Except my hand was stiff and sore and swollen, even months after the accident. But, I decided to try placing one on the back of my sprained hand. (I had no open wounds, it is advised not to place the foot pad on any skin that has an open wound). 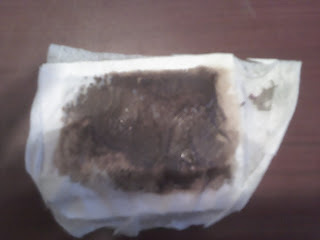 Within 2 HOURS the foot pad was leaking with goo. I got up and took it off, washed my hand and then went back to bed. But that was not expected. My hand is bony! I had been telling my customers for about 9 months now that something like that wouldn't work. So, the next night I decided to do a test. I put a foot pad on the back of EACH hand. Sure enough, in the morning the pad on my right hand was leaking out from all the goo that was coming out, but my left hand's pad didn't have a single spot of goo on it. It looked brand new. After a couple more "tests" just to make sure I wasn't imagining things, I made my conclusion that the foot pads will work on inflamed and swollen areas of the body even though that may be an area that the foot pads normally wouldn't work on. My hand was not stiff in the morning anymore after a couple weeks of using the foot pads. But even after one use I could feel the foot pads working. I have since put them on my husband's elbow after a particularly grueling workout at the gym (he trains with an amateur MMA team). I have tried them on my dad's knee when he injured it and it was swollen. I even tried it on one of my foster dogs who had surgery and his knee was swollen. Since the vet had shaved the area, the foot pad was able to stay on. In just a matter of hours the foot pad had a lot of goo on it, from the dog!! The main way the detox foot pads work is to pull the toxins out via your lymphatic system (through the acupressure points on your feet. But, they are very good at pulling the "stuff" out of any inflamed or swollen area, as well. And while my hand seems to work fine now, I still don't have total feeling in that middle finger due to the nerve damage that I suffered. It is what they call hyper sensitive. I can feel when I rub my hand over it, but the sensation is very different compared to normal skin. And if I get pricked there with a needle (when they do the hemoglobin tests, for example) it is extremely painful superficially. But, I am not limited in any way from my kitchen disaster... (a shelf in the cabinet fell on me, I instinctively grabbed a glass -- I don't know why, maybe trying to keep the shelf from falling? who knows why we do things in the split second of that moment -- and my hand swung back and hit the cupboard door as it was falling, which broke the glass and the jagged edge cut my finger. It all happened in an instant. And glasses and dishes kept falling, but the only broken one was the one in my hand. And I didn't even like those glasses.